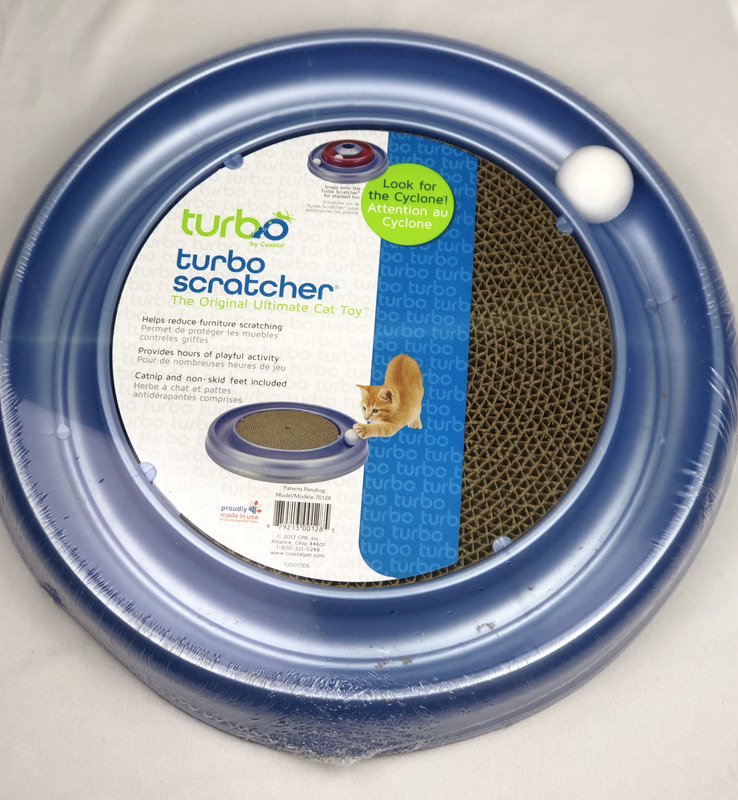 The famous Turbo Scratcher cat toy offers hours of fun and exercise for your cat while reducing potential furniture damage from scratching. Catnip and ball included. Scratch pad is replaceable. It's the most YouTube'd cat toy - check it out for yourself! Includes catnip, a spinning ball, non-skid feet and scratch pad.